Ancient Dragon Zen Gate is a community of practitioners committed to Soto Zen Buddhist meditation practice in Chicago. 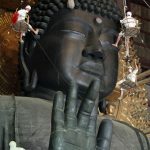 Please join us on the path of beneficial compassion and wisdom inspired by Shakyamuni Buddha. 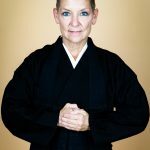 Our guiding teacher is Taigen Dan Leighton, author, scholar, and Dharma teacher in the lineage of Shunryu Suzuki. 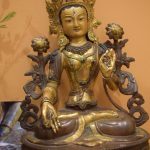 We invite you to read his teachings or listen to audio recordings of Dharma talks by Taigen and others. Under the guidance of Dharma Teacher Taigen Dan Leighton, Ancient Dragon Zen Gate evolved from a small meditation group that began meeting once weekly in 2003 and now, we offer many meditation and Zen practice opportunities. On Sunday mornings, we welcome brand new visitors to our temple for orientation and to learn meditation. We are located at 1922 W. Irving Park Road in Chicago, Illinois. You are welcome to join us for weekly meditation. This gathering is a casual setting for ongoing participants of the sangha to look inside and take care of each other as we work toward the liberation of all beings. Come for part of the the day or the whole time. No registration is needed, any and all help is welcome. Every month, we'll send you one email notifying you of recent dharma talks, teachings, and upcoming events. For our very latest news, please like our page on Facebook. Donate when shopping at AmazonSmile! Every little bit helps! Amazon will contribute a small percentage of your purchase when choose us, Ancient Dragon Zen Gate NFP, when you shop at smile.amazon.com/ch/41-2219998.